The best fast food point of sale system will scale your operations up and streamline your operations. The right system will help you understand your customers, customize the menu and manage the restaurant more effectively. Cloud capabilities on your restaurant POS solution will give you an enhanced overview of the business in real-time even when you are away. In order to get such a system for your business, you need to get a solution that is specifically designed for a fast food restaurant. As such, you nee to consider such POS capabilities as Ingredient-level inventory manager, recipe costing, customer relationship management and kitchen display system. 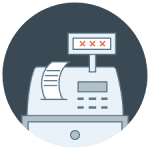 A reliable POS system can help to activate the cash drawer, track your restaurant’s monies, and keep your business’ finances in order. Why are these systems necessary, you might ask? In the ever-changing world of the fast food and restaurant industry, it is important to maintain an up-to-date system. A POS for fast food restaurant should tout consistency, speed, and efficiency. More than that, it’s important to make sure you’re staying ahead of the game technologically. This keeps you from bogging your business down or losing to competitors. Point of sale systems can receive payment, be programmed and re-programmed time and time again. New technologies allow POS systems to work with your business correctly and efficiently, and help to train your employees effectively. Fast food and fast casual restaurants need a POS solution that is as sleek, intuitive and industry-specific as the Toast fast food POS system. The system is essentially designed for enhanced efficiency, customer loyalty and to bust lines in this type of business. In order to help you stand out from your competitors, Toast is capable of tracking your business trends and making data-driven business decisions for you. These are designed to link your front-of-house to back-of-house seamlessly. It is this type of connection that allows for enhanced efficiency. Such components allow you to run the various aspects of your restaurant from a single POS system. For instance, Toast Go allows your servers to take tableside orders and fire them directly to the kitchen display system. By so doing, that system saves time, reduces wait times and enhances the efficiency, with which orders are taken. The solution will also display suggested tip percentages, encouraging customers to tip the servers. From this POS hardware component allows the customers to see all order information as you are ringing their transactions up. In addition to reducing errors and fostering trust between you and your customers, this system will also save you a considerable amount of time. The customers may use this display to sign their checks and even tip the servers at checkout. All these have been proven to combat long lines, reduce transaction times and enhance customer satisfaction with your business. The provider requires you to incur additional costs to get important restaurant POS add-ons. Again, the POS system is locked to the Toast Payment processor. Fast food and fast casual restaurants need a POS solution that is as sleek, intuitive and industry-specific as the Toast fast food POS system. The system is essentially designed for enhanced efficiency, customer loyalty and to bust lines in this type of business. In order to help you stand out from your competitors, Toast is capable of tracking your business trends and making data-driven business decisions for you. A rugged, tough and appealing hardware design, and superior POS software capabilities are some of the things that make this system so popular. Being one of the best fast food POS systems in the industry, Toast allows you to process transactions faster and accurately. 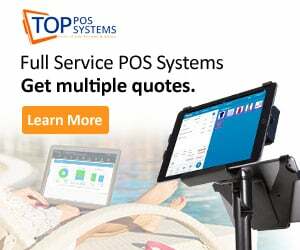 The Cake POS System will help attract more customers to your restaurant and help turn tables faster by a margin of about six percent. In order to achieve this, the system enhances communication and streamlines all operations in the business. The system has also been proven to boost restaurant revenue with time. With dynamic reports and cloud computing, you and your team can access data from any device in real-time, including weekly category sales, wages, employee hours, and much more. Additionally, the cloud information can be accessed even when you are offline, keeping your store running even if you lose internet. Cake includes online ordering, menu admin, ordering pads, reports, integrated apps, and even offline mode. 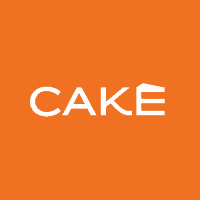 Cake splices together POS functions, table management, guest tracking, reservation systems and so much more. The benefit of these features is that Cake essentially streamlines your business. Guests are kept to minimal waits, as the entire ordering process is transferred digitally. 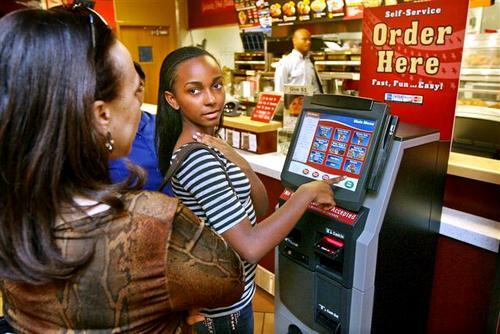 This POS system for fast food restaurant allows customers to feel valued. Also, Cake has a proven track record of solving challenges that fast food restaurant owners and managers face! Operators and owners are able to see the results of the point of sale system in real-time! Why? Because of cloud-supported reporting and analysis. From South Carolina to South California, restaurateurs are seeing the changes that the Cake point of sale system is making in their establishments. 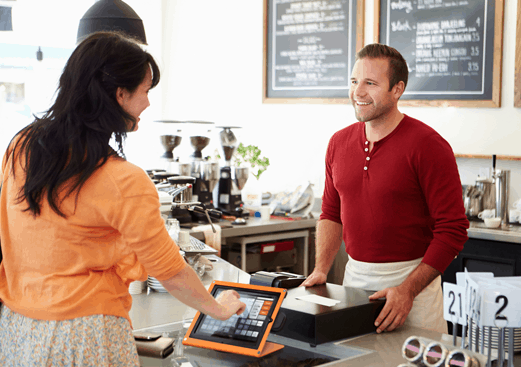 The iPad minis provided by the provider for mobile POS tend to lose connectivity easily, which may stall tableside ordering and payment processing in your business. The Touch Bistro point of sale system may have plans that ring in at a higher price than the other two systems we’ve reviewed so far, but it also highlights a mass of unique and useful features. With the service, you get cloud reporting and analytics. These reports can help you analyze what your customers purchase and when you stock your inventory. The system also features a unique, hybrid networking support. This network allows you to connect with other restaurant owners and find innovative ways to grow your business. To begin with, the system allows you to add unlimited number of employees accounts. This means that when you hire new employees, you do not have to pay for new accounts. Touch Bistro allows you to add as many accounts as you want. Additionally, the provider offers an array of tools to simplify things for your staff. For instance, it allows for faster and easy payment processing, supporting all major payment methods. The floor plan feature of the solution will make it easier for you or the restaurant manager to manage the various tables in the establishment and assign servers appropriately. Specifically designed to meet the needs of restaurants, Touch Bistro can serve to find dining establishments as well as fast-food eateries. 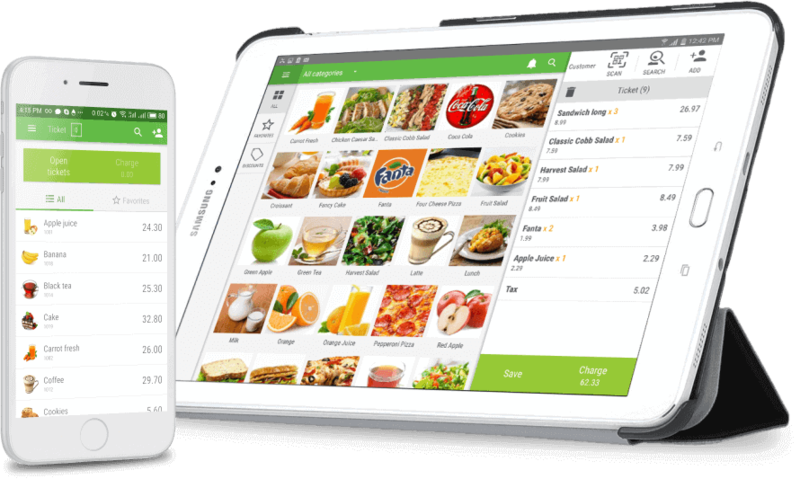 Within Touch Bistro, you’ll find much more than your average point of sale features. Included as well are functions to slip check, cope with ruses, staff manage and create sales reports. The mobile functionality will bring POS management and awareness easily to your staff, allowing employees to work seamlessly and more efficiently! With this provider, you may have to way a relatively long period to get a response from the customer support team. Like the name suggests, speed is an integral quality of a fast food restaurant. 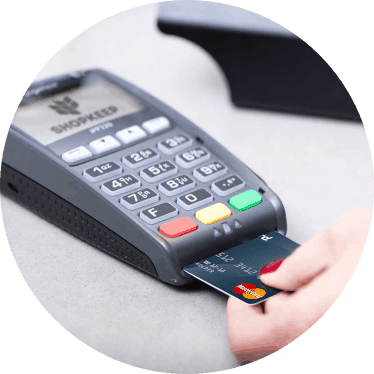 When choosing the best POS system for the business, you first need to ensure that it is fast enough for the business. In this case, the system should streamline operations and speed up processes, including order taking and payment processing. However, these are not the only things a good fast food restaurant Post should have. Ideally, the systems you opt for should have features and capabilities that are specifically meant for this unique business. With the right POS system, you can easily identify the unnecessary costs you may be incurring in the restaurant. In order to manage the turnover more effectively, the solution needs to have the right set of turnover management tools. For instance, it should have the right tools for optimizing returns on personnel, and inventory. Similarly, the system should have restaurant-specific analytics and data tools for reduce costs. Your preferred solution should feature capabilities for monitoring labor and inventory costs by hour, day, or even shift. This way, you can tell the servers who are moving more products or making more money for the business. Generally, restaurant inventory different from the inventories of other businesses. To begin with, it often comprises if perishable raw materials and food ingredients. As such, the inventory needs to be managed more effectively to ensure that the items in stick are enough at all times and that they do not go bad. The POS system you opt for should have the right tools to monitor inventory levels as well as “sell by” dates. Again, the solution needs to capable of monitor stock levels by portions and recipes. With such a system implemented in your business, you will always have an accurate snapshot of all your restaurant and kitchen needs from a single platform. The inventory manager on your preferred restaurant system should also have tools for monitoring food recipes up to the recipe level. Particularly, the system shod be able to monitor portioned items in order the evaluate food costs in your restaurant. It should as well allow you to present inventory thresholds and activate automatic reordering capability. As you may be aware, restaurant menus are somewhat seasonal. As such, the system you choose should make it relatively easy for you to alter the menu in your restaurant either remotely or on-site. Again, it should feature menu management tools that allow you to tailor the menu to your specific needs. The system should allow you to set a menu layout that is as unique your business. The layout options on your preferred fast food restaurant POS system should also allow you to add images along the various menu items. A system that allows you to include special dietary information and nutrition information on the menu, whenever necessary. Customer relationship management is one of the important aspects of a fast food restaurant business. In order to manage your customer relationships, you need a system that makes it relatively easier. The best fast food POS systems in the industry feature an integrated CRM feature. In most cases, this capability is fitted with the tools you need to keep your customers engaged, as well as boost customer service. For instance, it should automatically capture such customer information as contact details, order history and food preferences. Such information will help you understand your customer's preferences and be able to offer them personalized services. Again, the customer database compiled by the POS CRM feature allows you to send out custom offers and messages to your customers. Using their contact information, you will also be able to keep your customers informed on your offers. You may also analyze this data to understand your customers, hence come up with marketing campaigns that are relevant to them. Just as is the case with other types of businesses, you need to ensure that your pricing allows for continued profitability. Again, it should not be too high or customers or it will drive the customers away. In this case, a system that features recipe costing capabilities will come in handy. Basically, this feature is meant to check your recipes against labor and inventory costs and come up with the appropriate prices. The system should also be capable of evaluating the profitability of each dish you offer in the restaurant. The system you choose for your fasts food restaurant should reduce the amount if time customers have to wait for their orders as well. With paper, hand-written orders, the servers will have to walk to and from the table to the main point of sale station and then to the kitchen to relay order instructions. Above all, though, we believe that Toast acts as the most beneficial point of sale system for fast food restaurants and establishments. Toast offers owners and operators the ease and convenience of a fast food restaurant POS system It also allows for easy restaurant management, employee management, and reporting. With its easy-to-use features, tech support, affordable prices, and reporting, it is the system with the best bang for your fast food buck!